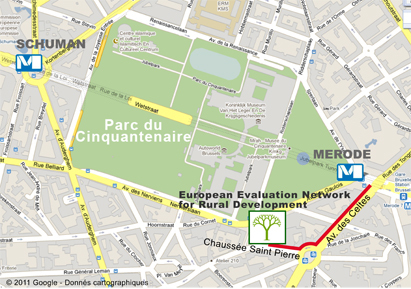 The Evaluation Helpdesk is the operational structure that provides support to the European Commission Directorate-General for Agriculture and Rural Development in running the Evaluation Expert Network. The Evaluation Helpdesk is located in the heart of the European quarter of Brussels. The nearest metro stop is MERODE. Responsible for overall project planning and delivery. Responsible for thematic tasks on evaluation methodologies and processes. Responsible for thematic work on evaluation methodologies and processes. Responsible for thematic support on evaluation methodologies and processes, good practices, interaction with external experts. Support on evaluation methodologies and processes. Responsible for newsletter and public website; information and dissemination. Responsible for providing technical support with public website and member's space. Responsible for providing support with communication material, layout of newsletter etc.